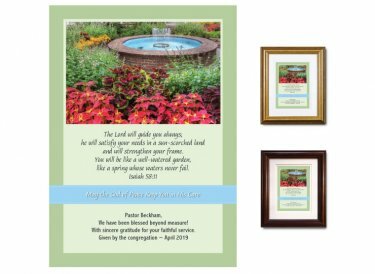 Beautiful personalized memento for clergy and ministry staff featuring this selection from Scripture: The Lord will guide you always; he will satisfy your needs in a sun-scorched land and will strengthen your frame. You will be like a well-watered garden, like a spring whose waters never fail. You'll personalize it with your special message.